The striking blown glass Vivienne table lamp, part of the signature collection from Heathfield & Co. The clean, curved lines of the fluted base are mould blown into their rounded shape. Each handcrafted optical based lamp includes fragments of gold leaf suspended in the blown glass. The sophisticated pattern inside the glass complements the large shade. The Vivienne large table lamp is available in an array of stylish colours that can be styled with an assortment of shade colours and finishes to complete your interior look. 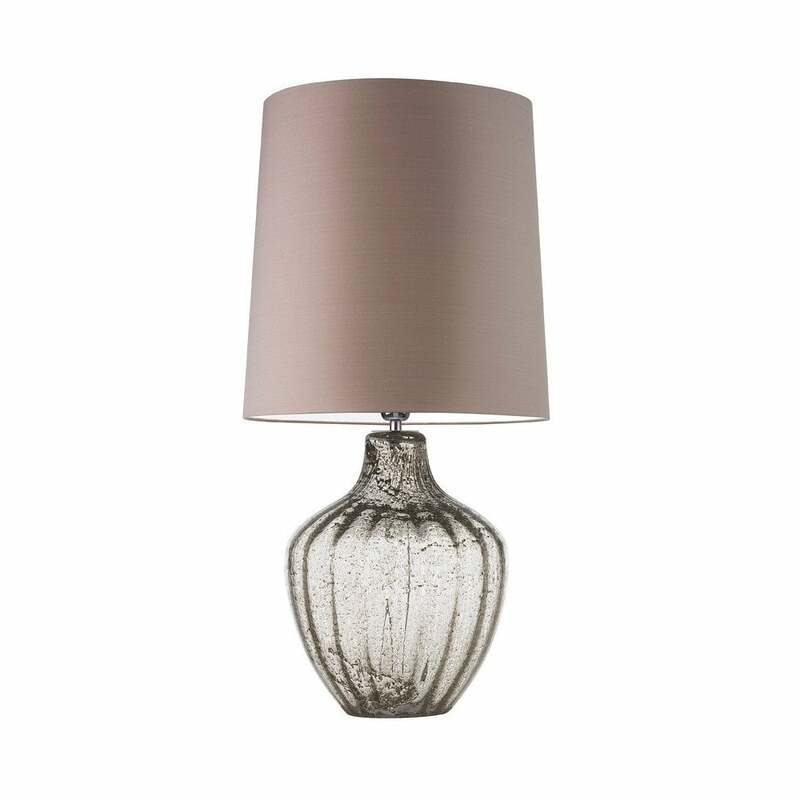 For an elegant, neutral palette choose the clear glass Vivienne lamp with a pewter silk shade. If you are looking for a statement feature, select the natural green with a bespoke bright shade. The lamp is also available in a medium size for smaller spaces. Priced for 16" Tall French Drum shade in silk with white PVC lining. Please contact us for other options.